Home > Family Law > Can Parental Rights Be Terminated? Can Parental Rights Be Terminated? In some family law cases in Texas, it becomes necessary and in the best interest of the child to terminate the rights of one or both parents. Rarely, the parent will relinquish their own rights via an affidavit. However, in the majority of cases, the court must legally terminate the rights of the parent(s) without their consent in order to protect the child. Why Would Parental Rights Be Terminated? Generally speaking, more than one of these situations must occur or reoccur for parental rights to be terminated. For example, a court is likely not going to terminate parental rights in the event that a parent has failed to enroll their child in school for the first time. However, if the failure to enroll a child in school happens multiple times, or happens in conjunction with other issues that are concerning to the court, the chances are higher that the court will choose to revoke the parent’s rights to their child. 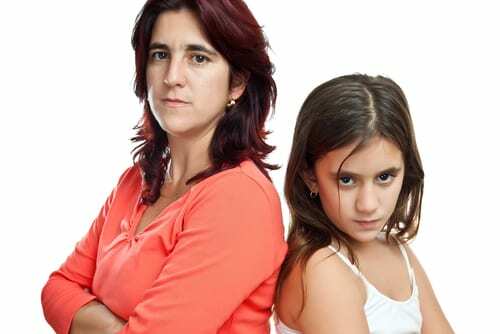 Occasionally, one parent may put in a request to terminate the rights of the other parent as a ploy to gain control over a divorce or a child custody situation. In any case, it’s critical to be sure that enough evidence against the parent has been obtained in order to prevent the unjust termination of parental rights. Evidence may include recorded phone calls, medical records, school records, or other hard evidence to support the claims of the parent seeking to have the rights of the child’s other parent terminated. If you believe a child is in harm’s way, contact social services or a law enforcement agent right away. If you are involved in a divorce or child custody situation where you believe the child’s other parent is a danger to your child, or you are being threatened with the termination of your own parental rights, you need to contact a skilled Texas family law attorney as soon as possible. At the Bourlon Law Firm, we have sufficient experience with clients on both sides of the termination of parental rights issue, and can bring our skills and expertise to the table in your case. Call us today to set up a consultation at (361) 289-6040.